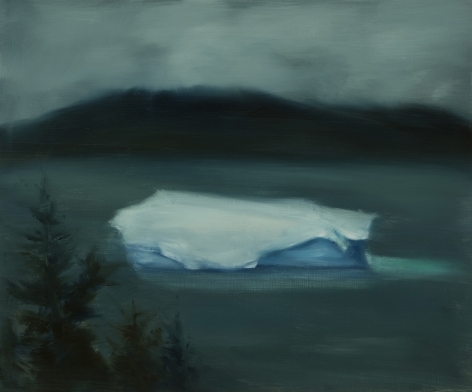 Karen Marston’s paintings are portraits of the awe-inspiring power of Nature. 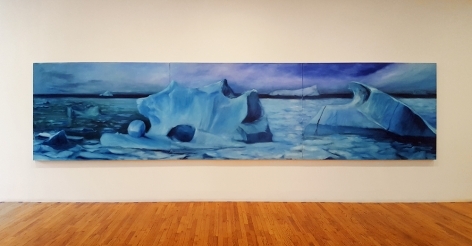 For the last several years she has concentrated on the dangers of man-made climate change through its effects on natural systems and conditions. 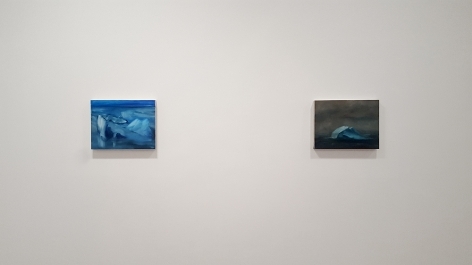 By capturing the power and beauty of the increasingly devastating events, the artist alludes to truths that many people continue to ignore. In the past, Marston has conveyed these themes through depictions of forest fires, hurricanes, tornados and volcanic eruptions. For the most part, these do not contain images of people, or cities. While mankind’s actions are a central cause of these scenes, by depicting primarily Nature’s reactions the artist indicates where the ultimate power resides. 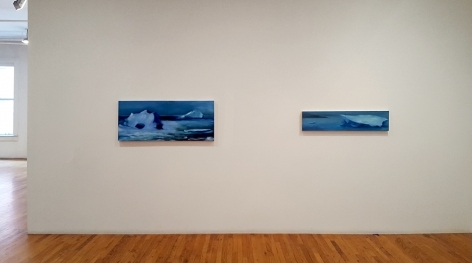 With “Harbingers”, Karen Marston has focused solely on how climate change is affecting the Earth’s ice caps and glaciers. According to a recent article in The Guardian, global warming’s eroding of the Polar Vortex cycle is bringing unprecedented levels of warmth to the Arctic. This effect simultaneously increases the ice melt in the North and pushes colder air south. Ironically, this leads to harsher winters for countries in the Northern Hemisphere. The melting of permafrost also leads to a significant release of methane gas, which only increases the effects. 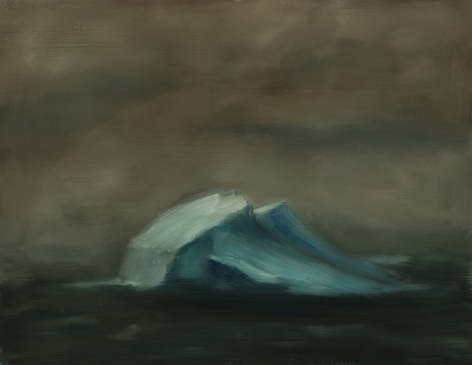 The artist visited Newfoundland in 2017 to document the annual Spring migration of Greenland’s icebergs down the northeast coast. 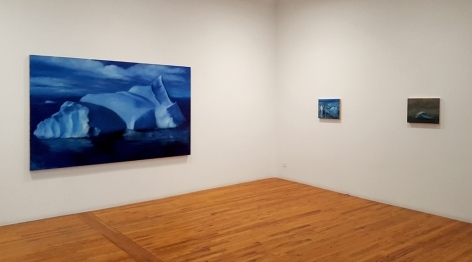 Her many sketches, and the paintings based on them, make the environment’s reality clear. The damage to Greenland is starke: two of its four main ice sheets are now gone. 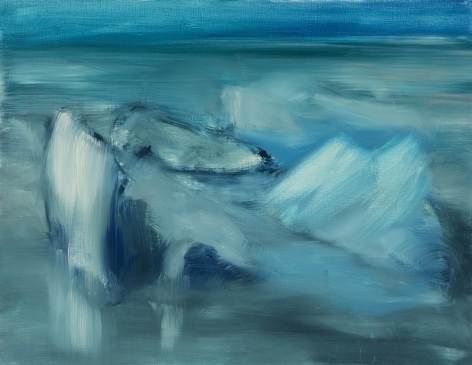 Every spring, ice breaks off from the sheets and becomes icebergs that drift down the coast. This naturally occurring event, which has been documented for a century, has now reached record numbers of flowing icebergs. 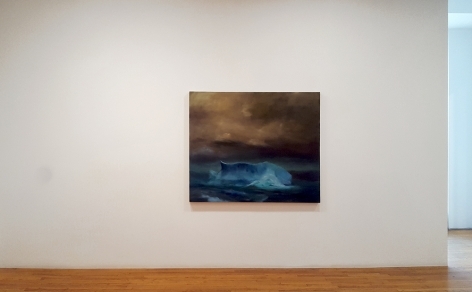 Some of these beautiful but alarming seascapes are presented in the largest format that Marston has ever worked, including a monumental 21 foot triptych. 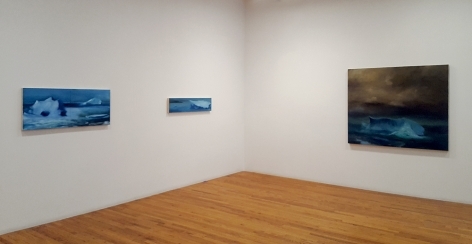 The scale of the canvases talks directly to the scale of the problem. 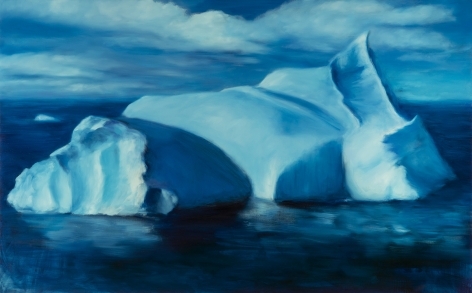 The icebergs that Karen Marston has painted are old: 10,000 - 15,000 years old. Though their sea voyage is a natural end to their existence, it is an end that has come far sooner than it should. 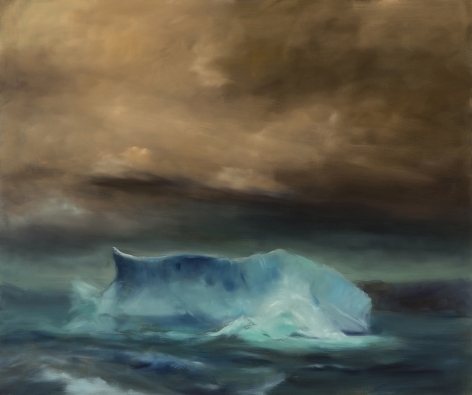 The icebergs are harbingers of the fate that awaits us. Our delicately balanced climate is disappearing with ever-increasing speed and numbers as we lurch towards uncharted waters.